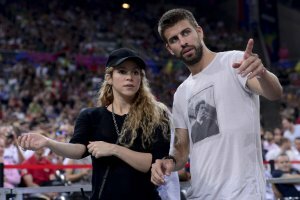 Spanish prosecutors are poised to file a court complaint against Shakira for allegedly evading 14.5m euros in taxes, which the superstar singer’s defence lawyers deny, a report said Friday. The El Pais daily said prosecutors had notified the award-winning Colombian singer’s lawyers that after investigating the case they would not drop it, which means they will file a complaint in court in the coming days for alleged tax fraud. A spokesman for Spain’s prosecution office would only tell the AFP news agency that ‘no action has been taken’ yet. The matter ‘is being examined’, he said. In a relationship since 2011 with FC Barcelona centre-back Gerard Pique, with whom she has two sons, the 41-year-old transferred her official residency to Spain in 2015. But a spokesman for prosecutors in Barcelona told AFP in February that this didn’t ‘match reality’ with her children and partner in Barcelona. Shakira’s representatives insist that until 2014 she earned most of her money in international tours and didn’t live more than six months a year in Spain – a prerequisite to be an official tax-paying resident in the country.